This Year was the Fifteenth Animal OUR Fest. I attended for my Twelfth year in one row. The event is held annually at the Brushwood Folklore Center in Sherman, NY. Brushwood is a Clothing-optional Artist Colony founded by Frank and Darlene Barney many years ago. Maury Rosenberg started his festival there in 1997 as an answer to the Music Industry’s Corporate Festivals and has maintained it ever since as a very small, original Event. Maury’s Band Hypnotic Clambake is the Annual Headliner and West Virginia’s Stewed Mulligan have attended every year. Also such Favorites as Snake Oil Medicine Show (who I first went to OUR Fest with back in 2000), Mad Tea Party, Baby Gramps, Redheaded Stepchild and the Buddhahood have graced the Stages there and delighted the Small but dedicated Fan base. The OUR Fest has become more and more like a Family Reunion. 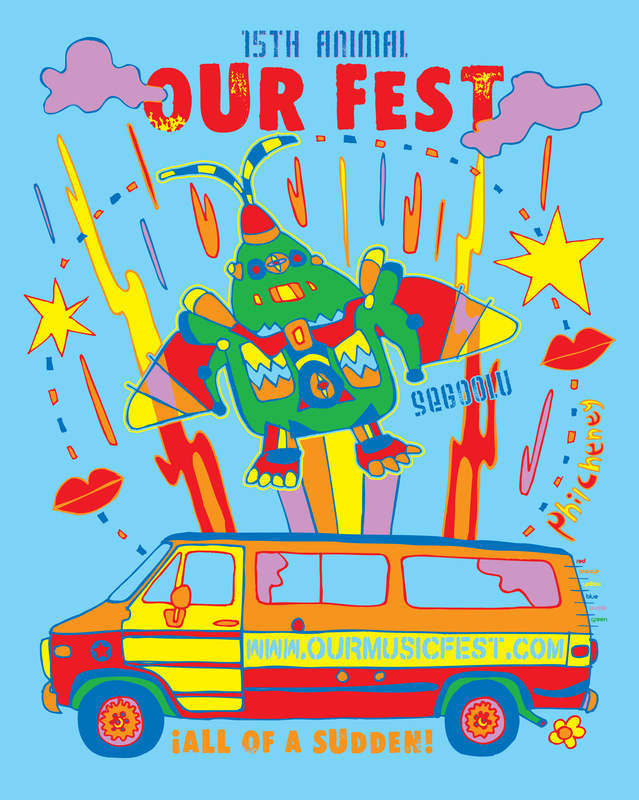 There is a plan in place to bring a lot more Art to the OUR Fest in the future and I am trying to help make that a reality. This Year I brought Singer and multi-Instrumentalist Anita Lorraine Kinney along with me and She performed 3 sets of music. Also, my dear friend Robert Seven from Candlertown, NC, came a decorated the Grape Jam Stage and Amy Kemp brought Her Rapture Bus. Our friends Anna and Andy came all the way from Athens, GA for their 7th visit to Brushwood. It was a really fun time. 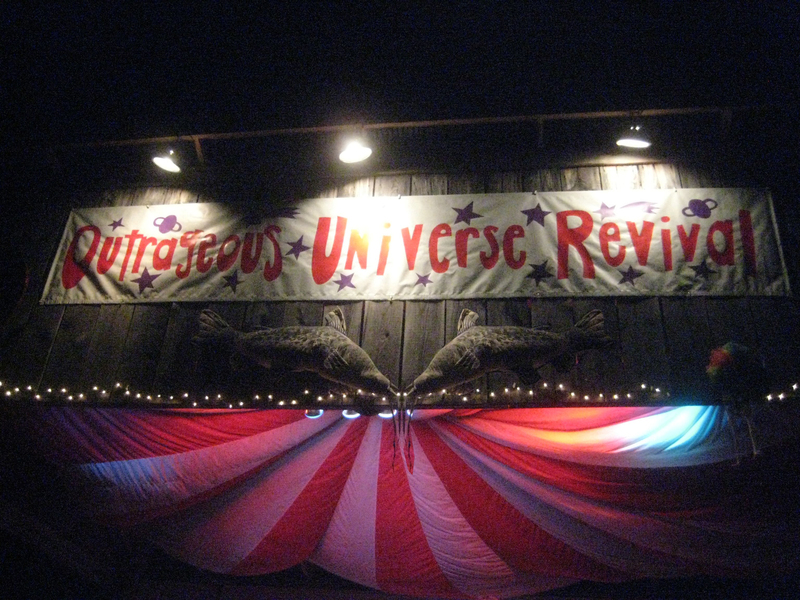 Everyone asked where the Mad Tea Party and Snake Oil Medicine Show were this year, my guess is that They will be back next year.